Greetings! My name is Vic Whitaker, and I’m CCEA’s newly appointed Executive Director. Please allow me an opportunity to introduce myself. I retired several years ago after teaching for 35 years in the same continuation high school, Chaparral High School in San Diego, California. 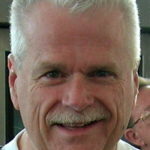 I’ve been a continuous member of CCEA for 53 years, attending all conferences except for one. I have served in all Executive Board positions over the years — President, Past President, Vice President, Secretary and Treasurer. I’ve even been a Board Consultant on two separate occasions. Along with my friend and colleague, Mr. Joe Stits (an honorary life-time CCEA member), and others from the California Department of Education, we established the “California State Model Continuation High School Recognition Program” and I have served as the chief consultant to the CDE for that program since its inception. As your new Executive Director, I would like to welcome you to our ever-evolving organization. CCEA is on the move — new, refreshed, inspired and in pursuit of effective, efficient advocacy and resourcing. Your new and very talented Executive Board and Regional Advisors have been working tirelessly to bring you a new and up to date CCEA which will meet your needs far into the future. We have also brought to you a very exciting, redesigned and interactive website — cceanet.org. It truly is an interactive one-stop shop for all your questions, educational needs, purchases and information. I encourage you to visit again soon, and often, as there are daily changes occurring. Please know that I, along with the other Executive Board and Regional Representatives, am always available to you. Join your fellow continuation school educators for the upcoming CCEA Conference “Moving into the Future Together”. 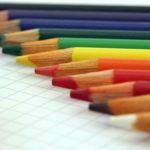 This is a once a year opportunity where you can connect with other alternative educators who understand the unique nuances of working within continuation schools. Whether you are a teacher, an administrator, or classified staff member – this conference is for you! You will attend workshops, network, and take back information that is directly related to our unique needs. Celebrate with CCEA at Levis Stadium! Friday evening there will be an awards dinner at the world-famous Levi’s Stadium to celebrate our 2019 California Department of Education Model Continuation Schools. 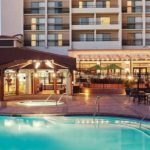 The Conference will be held at the Santa Clara Marriott on April 26 – 28, 2019. Register online before March 17th and get 10% off! Meet the CCEA Team – We’re Here to Support You! CCEA strives to provide professional development to support the needs of educators working within continuation and alternative settings. To support our distinctive needs, CCEA is planning to begin hosting webinars. More details to come as the project develops. Please share your own ideas and topics with us anytime. Have an idea for CCEA? Please share it with us! Are you doing some awesome things in alternative education in your classroom or on your campus? We want to hear from you! We would like to take this opportunity to invite you to share your ideas and successes with colleagues around California. Remember, if you have seen one continuation school – you have only seen one continuation school. As continuation school educators, you are highly creative, dynamic, and eager to share your great stuff. Please submit your proposal for a workshop here, or consider leading an academic open forum discussion in your content area. Get more details here on presenting and showcasing at the round tables. 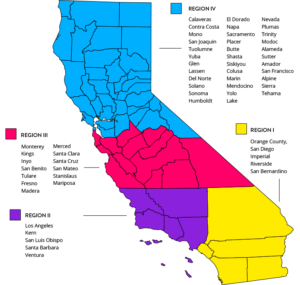 The California Continuation Education Association (CCEA) was formed in 1962 to advocate for the interests of continuation school students and staff. CCEA’s member-driven organization serves as the advocacy group and professional community for continuation schools. Please consider becoming a member of this worthy organization that advocates and empowers on behalf our educator’s unique needs. We’re better, together! Special member access to CCEA website info and data. Discounted rates and special options at the annual conference. Certificate for members; or plaque for schools and businesses. Exclusive access to member forums and message boards. Participation in CCEA advocacy efforts and direction. Subscription to our newsletter, regional workshops and more! Professional members are the driving force behind CCEA and continuation education. Become a professional member right now for just $50 and get instant access. Sign up now! Did you know CCEA is on social media? Please join us as we celebrate our successes and find a community of educators to network with. We invite you to showcase all the special things happening at your site. Have you considered volunteering to serve as a member of an ACS WASC visiting committee? 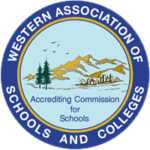 WASC is one of the six regional accreditation agencies in the United States. An ACS WASC accreditation validates the diploma your school provides as well as makes your school eligible for Model Continuation School status. If you are interested in serving on a committee and learning the process of the ACS WASC, process please volunteer. It is often stated that ACS WASC visits are a useful form of professional development for educators. This year we are adding a new contest for students! We are asking students to design the cover for the Conference program. Our conference theme this year is: Moving into the Future Together. 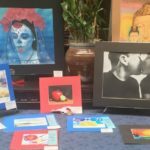 We are excited to have another avenue to showcase our student’s work! Teachers, Administrators, and Classified…Oh My! 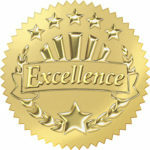 Please look at the awards that CCEA awards each year and submit those exemplary people and programs at your site! 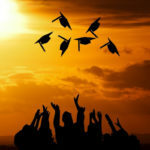 The State Association wishes to join with the local districts in recognizing those individuals who stand above their peers in providing excellence to students in California’s Continuation High schools. Do you have an amazing Classified Staff Member, Teacher, or Administrator? Consider nominating them. Give your students the opportunity to shine — display your student’s artwork and highlight what you have been creating throughout the year. The purpose of this contest is to recognize our outstanding students and their writing. Please consider entering your top student’s essay. Each school may submit up to two essays, one from a Senior and one from a Junior. All members of CCEA will soon have access to member webinars. We are looking forward to growing as a community and facilitating on-going professional development specifically for alternative education and continuation schools. More to come! We look forward to seeing you at the conference in Santa Clara! Here are a few other important links for the 2019 Conference: Become a Member | Sign Up as a Vendor | Reserve Awards Dinner Tables | Extra Awards Dinner Tickets | Call for Presenters | Call for Round Table Showcases | Exemplary Programs Award Submissions | Student Essay Contest Submissions | Student Design Contest | Other Awards Information.